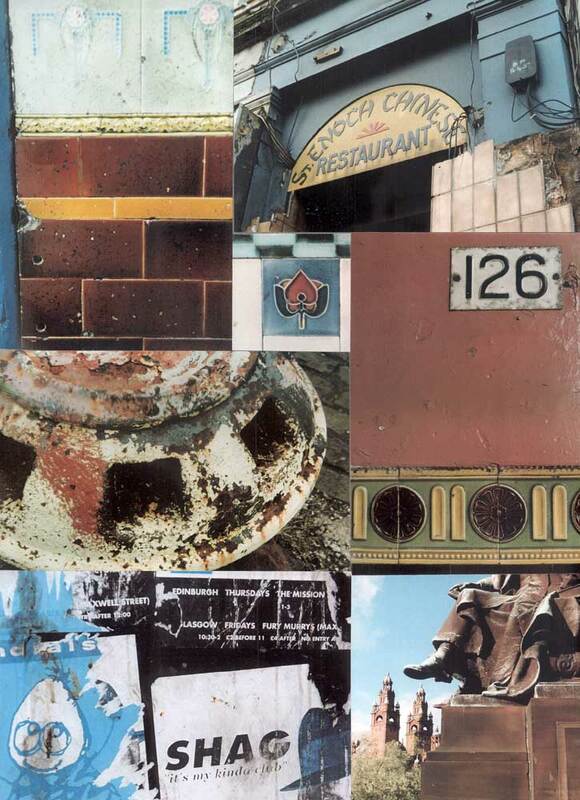 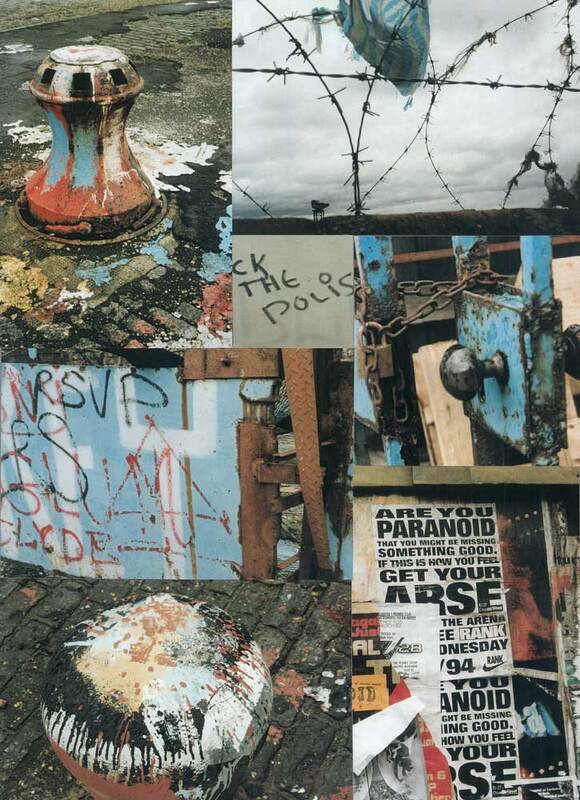 in the 1980s he revisited Glasgow where he took photographs of whatever happened to catch his eye, be it beautiful Art Nouveau ceramic tiles, graffiti in a public lavatory or derelict tenement buildings. 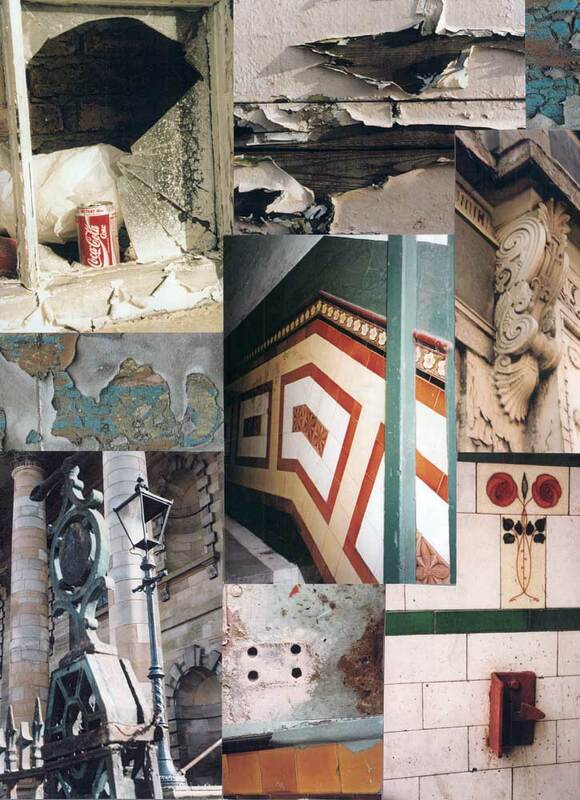 These images were subsequently formatted into a striking collection of collages which took both the colour and content of the subjects into consideration. 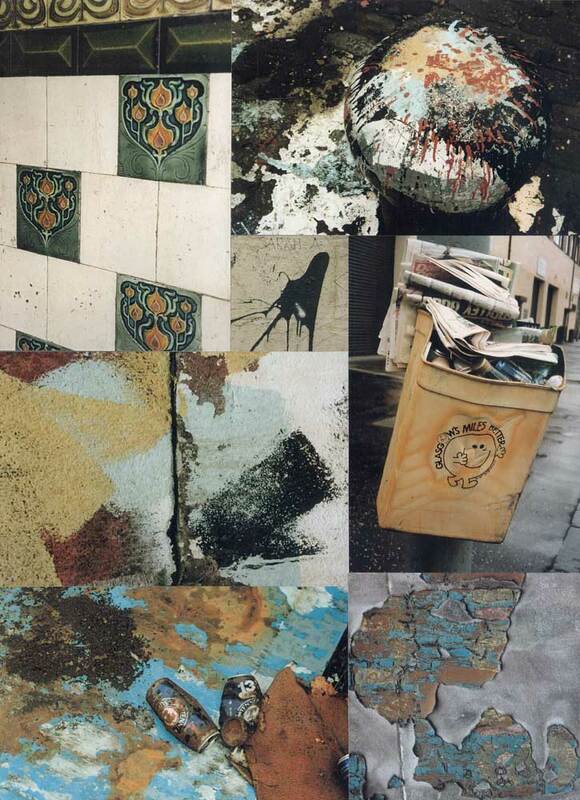 These were compiled into a large format book of which only 2 copies exist. 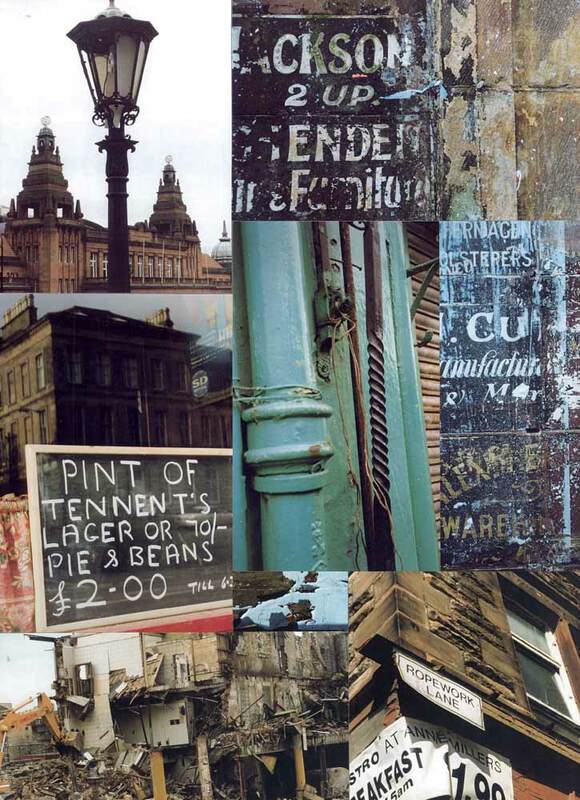 Sadly whilst trying to attract some interest in the book, he sent the originals to a Glasgow art gallery and over time he lost touch with the contact, so the original photographs have gone astray.